← Steve Jobs made CarFreeBrad.com Possible! The World is going CarFree and Chronicle Knows it! I got home just in time to see the last 30 seconds of this segment so I assume a few other people missed it as well. 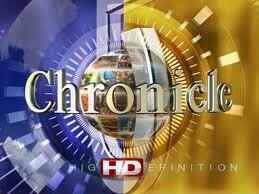 The long and short of it is, Chronicle has done it again. I never wanna’ watch their segments but always end up loving them. What other show can do a whole segment on hidden sidewalks of New England? Somehow, they do it and I have to wait to eat diner because I need to learn the rich history of Winthrop’s urban walkways. I want to see them expand this segment or follow-up and look at the atmosphere in Worcester. Could be a really good compare & contrast segment, just a thought!! Watch it Here: Wheel World: Segment One – Video – WCVB Boston. This entry was posted in Bike commute, Car Free, Urban Bike and tagged Boston, Chronicle, History, Technology, WCVB-TV. Bookmark the permalink.